Under what conditions should you use a plenum grade network cable? Identify the port and connector shown in the following figure. Which of the following best describes DNS? It assigns an automatic IP address if the DHCP server is down. It assigns static IP addresses. 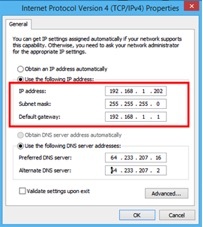 It assigns dynamic IP addresses. It maps domain names to IP addresses. The LCD-CCFL display screen on your PC has no image. In an attempt to troubleshoot the problem, you notice that you can see a faint image when you shine a flashlight on the screen. Which of the following do you suspect might be causing this problem? The screen is not receiving power and the image you see is an after image burned into the screen before it failed. The display cables are loose and the screen is only receiving intermittent video signals. The display settings are configured for a secondary display or projector, but none is connected. The backlight or inverter in the screen has failed. You have built a CAT5e cable using a T568B pinout. What type of connector did you use? Which of the following networking devices connects two network sections or two LANs together? Which of the following operating systems does Apple tables use? Which of the following describes the developing step in the laser printing process? The toner and the unexposed portion of the drum are both at -600 volts. The unexposed portion of the drum is at -600 volts and the toner is at -100 volts. The toner is at -600 volts and the unexposed portion of the drum is at -100 volts. The toner and the unexposed portion of the drum are both at -100 volts. As a technician, you will carry a variety of tools in your tool kit and you will need to know how to use them. Identify the tool in the following figure and describe its use. Wire stripper for removing the outer jacket from a cable. Crimper for securing a connector to the end of a cable. Cable tester for testing each wire in a cable to ensure that it is wired in the correct order. Punchdown tool for connecting wires to a patch panel. Which class is the IP address, subnet mask, and default gateway, as shown in the following figure? You work in the IT department for a small company and have been asked to test the power supply for a user's computer. Which of the following DC voltage results would lead you to suspect that the power supply is beginning to fail? You are ready to install a new Thunderbolt card. You plug the card into a PCIe x4 slot. What should you do with the cable and connector indicated in the figure? Plug the connector into a power receptacle. 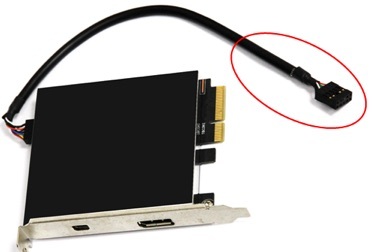 Plug the connector into a DisplayPort. Plug the connector into a USB Type C port. Plug the connector into a motherboard header. You want to know how many documents are in the printer's memory waiting to be printed. Where would you go to see this information? You are expanding your home network to include a Windows server and Windows, Linux, and OS X workstations. File and Printer Sharing has been enabled. What other application should you install on your network to enable file and printer sharing among the Windows server and the Windows, Linux, and OS X workstations? A client calls you complaining that his computer's clock has been losing time for several weeks. The computer seems to be working fine, but it is annoying for the clock to always be wrong. What advice would you give the client? There is nothing seriously wrong with the computer, and he should just reset the clock. The CMOS battery is failing and should be replaced. At least one of the computer's memory modules is failing and should be replaced. The CPU is failing and should be replaced. Certain keys on your laptop are configured to perform more than one function. How would you use these keys to perform more than one command? Activate tethering on your computer. Press one of these keys and the Shift and Ctrl keys simultaneously. Use a docking station to activate the second function. Hold down the Fn key while pressing one of these keys. Which of the following is a private Class A address? Which of the following would allow your laptop to borrow an Internet connection from your smartphone? You are a repair technician and you are replacing the CPU in a client's laptop. You have removed the CPU/heat sink/fan assembly and have installed the new CPU. You have also determined that you can reuse the original heat sink and fan. Which of the following should you do next? Install the heat sink between the CPU and the fan. Install the fan between the CPU and the heat sink. Apply new thermal paste between the heat sink and the fan. Clean the old thermal paste from the heat sink. EMI and RFI tend to affect which types of networks the most? You have a client who wants to build a high-performance computer with the fastest hard drive possible and cost is not a consideration. Which of the following hard drives should you recommend? Which of the following does Apple use for file transfers for iTunes using Apple Pay? What is the fastest data transmission speed supported by a CAT6 gigabit Ethernet network? Which of the following Wi-Fi standards supports multiuser MIMO? Check power to be sure the battery is fully charged. Be sure that your system has enough storage space to run a new app. Remove the CD from the CD player so the app can load. You are in an area with poor Wi-Fi coverage and your smartphone is having difficulty getting a strong cellular signal. Which of the following options might help improve your cellular signal? Turn off all apps that are not needed as that will boost power to the wireless receiver. Move away from others who might also be using mobile devices as some of those devices tend to interfere with each other. Switch to airplane mode for better reception. Which type of printer uses a tractor feed system to push or pull the paper through the printer? Identify the feature indicated on the keyboard in the following diagram. You want to add the FireWire 400 multiport card shown below to your PC. Into what type of expansion slot should you install the new card? While watching a video on your laptop, you receive a phone call. Your laptop has a function key with the symbol of a muted volume control on it in blue. How would you use this key to mute the video before answering the phone? Hold down the Fn key while simultaneously pressing the mute volume key. Hold down the Shift key while simultaneously pressing the mute volume key. Hold down the Shift+Ctrl key while simultaneously pressing the mute volume key. Hold down the Alt key while simultaneously pressing the mute volume control key. You are troubleshooting a color inkjet printer and you find that when it prints a document with color images, the colors come out wrong. Which of the following is probably the cause of this type of problem? One of the color toner cartridges may be empty. Check the printer cable to be sure that it is not loose. The printer probably has a clogged print head. The printer port is not properly configured. You have an older computer on which you have just upgraded some of the components. As part of the upgrade process, you enter the BIOS startup configuration program and configure AHCI. What will this do? AHCI allows more efficient power utilization. AHCI allows SATA drives to be hot-swappable. AHCI allows you to configure a RAID array. AHCI allows faster access to newly installed memory. Which of the following connectors does an ExpressCard/54 use? You have just bought a new Fitbit activity tracker. You have charged the Fitbit, but your smartphone does not recognize it. How would you solve this problem? Enable the IR receiver in your smartphone. Enable Bluetooth on your smartphone. Enable Wi-Fi on your Fitbit. Your motherboard has a PCI-X slot, a PCIe x1 slot, and a PCIe x16 slot but no PCI slot. Into which slot could you install a PCI card? PCI card is old technology, and you cannot install a PCI card in any of the slots on this motherboard. You have tried to print a document containing a large number of graphics on your laser printer, but the printer does not have enough memory to handle all the graphics. You do not have time to go to your favorite electronics store to buy more memory for your printer, so you decide to lower the resolution of the graphics. Which of the following options is the lowest resolution you should choose for photographs? Below this resolution the degradation in quality will be noticeable. Which class is the IP address and subnet mask, as shown in the following diagram? Your IT supervisor has asked you to install docking stations for several of your company's employees who want to bring their laptops to work. What advantage does a docking station provide? A docking station increases the speed at which a mobile device can work. A docking station provides additional ports for a laptop or other mobile device. A docking station allows your mobile devices to receive Wi-Fi anywhere in the building. A docking station allows your laptop to become an audiovisual workstation. When designing a network for a client, you recommend connecting a UPS to the server. The client is not sure that having a UPS is worth the cost. Which of the following reasons should you give to support your recommendation? A UPS is a backup server that automatically functions in case the primary server fails. A UPS contains a duplicate hard drive that provides a real-time backup for information stored on the server. A UPS is a backup battery that keeps the server running long enough to shut it down safely during a power outage. A UPS backs up the server's files every evening after the day's work is finished. Your client wants you to create a system that provides a real-time backup of critical data. You decide to install a RAID array using two drives that contain identical information. Any changes to one drive automatically are copied to the other drive in real time. What type of RAID do you plan to install? The Thunderbolt 1 and 2 technology accept the same connector interface as which of the following? In which of the following types of systems might you use a SODIMM? Which of the following networking devices connects one network to another network, usually through a fast public telecommunication system? A client has come to you for advice about buying a new mechanical hard disk drive. As you explain to him the characteristics of various hard drives, which of the following will NOT be a consideration? Which of the following is a connectionless session in which packet delivery is not checked? You are installing a new CPU, heat sink, and fan. What should you place between the CPU and the heat sink to improve thermal conductivity away from the CPU? You are building a custom computer and have chosen an AMD Trinity series CPU and dual-channel DDR3 memory. What type of motherboard socket should you choose? You are configuring a DNS server. What is the default port that you would use in this configuration? 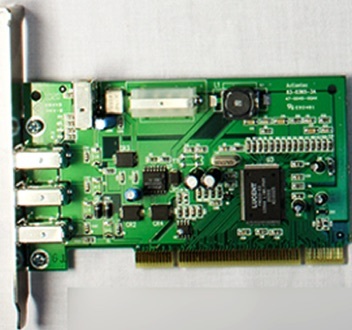 A video card has several connectors for different types of displays. Which of the following is used for a VGA display? You should use only plenum grade networking cables anytime you need to run your cables through ventilator shafts, under floors, or inside a suspended ceiling. This is because standard cabling is toxic when burned, and in case of fire, the burning cables produce toxic smoke that could asphyxiate people in the building before they could find their way out. Plenum grade cables are much less toxic when burned and may even be self-extinguishing. This is the ATX v2.2 (24-pin) motherboard power port with its connector and cable leading to the power supply. An Internet site can only be accessed if you know the site's IP address. But most people do not know the IP addresses of their favorite sites. People remember names much better than numbers. DNS (which uses port 53) 7solves this problem by searching for the domain name and mapping the domain's name to its IP address. If the DHCP server is down, APIPA automatically assigns an IP address. The user assigns a static IP address to a computer. 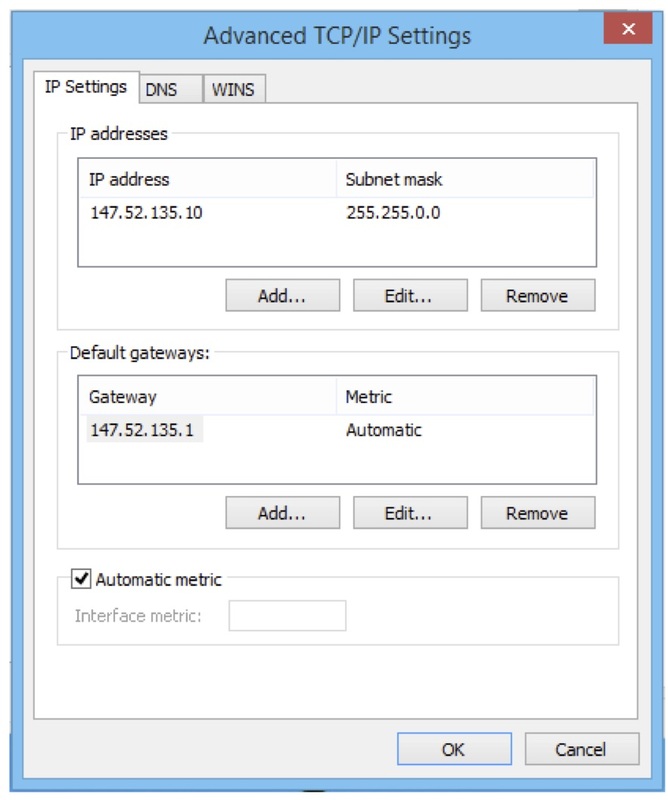 DHCP automatically assigns dynamic IP addresses. Since you can see an image on the screen when you shine a flashlight on it, there is probably a problem with the LCD-CCFL screen. Probably either the inverter or the backlight has failed. None of the other options would leave an image on the screen. With those options, the screen would be completely empty. An RJ-45 connector is used with CAT5/5e, CAT6/6e, and CAT7 cables on Ethernet networks. RJ-11 connectors are used with CAT3 cables for telephone services. BNC connectors are used with coaxial cables. SC connectors are used with fiber optic cables. There is a limit as to how much distance a LAN can span. If your network needs more distance, you could create two LANs and use a bridge to connect the two LANs. A NIC is a network interface card and is used to connect a computer, printer, or other device to a network. A switch speeds network communications by allowing multiple communication sessions to occur simultaneously and at full speed. Communications on a switch are directed to a specific computer using that computer's MAC address. A hub may be powered or unpowered. It broadcasts any message sent by any computer to all the other computers connected to it. It must split its available bandwidth among all of its computers, which slows its communication speed. Apple tablets use iOS. Windows devices use either Windows 10 or Windows Mobile. Other devices use the Android operating system. During the laser printing process, both the drum and the toner are charged at -600 volts. When the laser writes to the drum, it changes the exposed area of the drum to -100 volts. Since opposite electrical charges attract each other and like charges repel, the toner is repelled by the unexposed areas and only adheres to the exposed areas of the drum. A punchdown tool is used to wire a patch panel. Individual wires are placed in position and the punchdown tool forces them through holes to make a connection inside the panel. When building a UTP cable, for example, the first thing you need to do is to use a wire stripper to remove the outer jacket or insulation from the cable to expose the wires within. Next, you organize the wires in the specific order needed for the type of cable you are making, a T568B straight through cable, for example. Place the RJ-45 connector on the wires and secure it in place by using a crimping tool to squeeze the connector closed around the cable. A cable tester is used to ensure that the wiring standard has been met. It tests each individual wire inside the RJ-45 connector to make sure that it is wired in the correct order and that each wire makes contact with the tip of the connector. A skilled technician can build a UTP cable in a few seconds. To determine the class of an IP address, check the first octet. For an IP address to be within the Class C range, the first octet must fall between 192-223. In this case the first octet is 192. The default subnet mask for a Class C network is 255.255.255.0. You would expect to see +12.0, -12.0, +5.0, -5.0, and +3.3 volts DC, but +8.0 volts is outside the normal range for a computer's power supply. The Thunderbolt card in the figure uses a PCIe x4 (or larger) slot and a Thunderbolt header on the motherboard. After installing the card into a PCIe x4 slot; plug the Thunderbolt connector into the header on the motherboard. The print queue contains a list of all the print jobs waiting in memory to be printed. The easiest way to access the print queue is to double-click the printer icon in the Control Panel Devices and Printers applet. Samba is installed on Linux and OS X to enable file and printer sharing with Windows. CAD and CAM are used to design and manufacture three-dimensional objects. SiSoftware Sandra and Belarc System Advisor are third-party diagnostic programs that evaluate a system's hardware, software, and security. If the computer's clock begins to slow, this is an indication that the CMOS battery may be failing. If the battery fails completely or if it is removed, all the configuration setting that have been stored in CMOS will be lost. If a single key is capable of performing two functions on a laptop, pressing that key while holding down the Fn key allows that key to execute the second function. For example, holding down the Fn key and pressing the F12 key simultaneously might turn on or off the laptop's Wi-Fi. On other laptops, the F12 function might be different. Always check your laptop's documentation. A private Class A address begins with 10.x.x.x. Tethering allows two devices to share an Internet connection. No longer must you look for a hotspot for your laptop; you can connect your laptop to the Internet using your smartphone as a hotspot. This may be accomplished wirelessly or via a USB cable. You must always clean the old thermal paste layer from the heat sink before reusing it. After installing the new CPU and cleaning the old thermal paste, add new thermal paste, reinstall the heat sink, and reinstall the fan. UTP is unshielded twisted pair. These cables do not have a shielding layer to protect them from electrical or radio interference. Shielded twisted pair (STP) and coaxial cables do have shielding. Fiber optic cables are not susceptible to interference. 10000 rpm is a high-performance hard drive. 5400 rpm is a "green" power-saving drive. 7200 rpm is a mid-range drive. Currently, there are no 25000 rpm disks. NFC or near field communication is used by Apple to transfer files using iTunes and Apple Pay. FTP stands for file transfer protocol. ATM stands for asynchronous transfer mode (or an automated teller machine at a bank). GSM stands for global system for mobile communications. CAT6 cable used on a gigabit Ethernet network, can support up to 1000 Mbps or 1 Gbps. Your system must have enough storage space to download and run a new app, so you might need to uninstall any apps you don't use often to clear more space. You should also check the RAM. You might need to close some of your apps to free up some memory. Power does not have to be at full charge to download an app. Tablets don't have CD players. If cellular reception is poor, turn off the Wi-Fi. Cellular service on some smartphones works better if the Wi-Fi has been disabled. Open apps will not make a difference to your cellular reception, nor will having other mobile devices in the vicinity. Airplane mode will turn off all wireless transmissions, including Wi-Fi. Impact printers use a tractor-feed system that inserts sprockets into holes along the edges of the printer paper and push/pulls it past the print head. The blue button in the middle of the keyboard between the G, H, and B keys is a pointing stick. A pointing stick is used to control the screen pointer. This FireWire card plugs into a PCI slot. PCI slots are not compatible with PCIe slots. The volume mute symbol in blue indicates that this is a special function key capable of performing more than one function. Holding down the Fn key while pressing this key allows this key to execute the second function. For example, holding down the Fn key and pressing the F6 key simultaneously might mute the sound on a laptop. On other laptops, F6 function might be different. Always check your laptop's documentation. When an inkjet printer prints the wrong color, the most likely problem is that one or more of the nozzles are clogged. An inkjet printer does not use toner. If the cable were loose or if the port were not configured properly, it would affect the capability of the printer to print, but it would not affect the colors. Hot-swappable means that a device may be connected to or removed from a system without shutting down the system. A PATA hard drive, the predecessor to SATA, was not hot-swappable. For SATA drives to be recognized as hot-swappable, you must enable the Advanced Host Controller Interface (AHCI) setting for SATA drives in the BIOS. You must enable Bluetooth on your smartphone before Fitbit can connect. Fitbit does not connect using IR or Wi-Fi technology. A hot spot enables one or more wireless devices to share an Internet connection and uses Wi-Fi to create a wireless LAN. A hub is a physical device that broadcasts messages across a LAN. A switch is a physical device that uses MAC addresses to locate specific computers on a LAN. A bridge connects two LANs. PCI-X slots will accept the older PCI cards. PCIe slots will not accept PCI cards. Below 600dpi, the quality of a photograph will degrade noticeably. To determine the class of an IP address, check the first octet. For an IP address to be within the Class B range, the first octet must fall between 128 and 191. In this case the first octet is 147. The default subnet mask for a Class B network is 255.255.0.0. Because laptops and other mobile devices are smaller than standard PCs, they do not have enough room for all the features that a standard PC has. A docking station provides many of those features, such as additional USB, DisplayPort, HDMI, Thunderbolt, and Ethernet ports. It may also provide a full-size keyboard, mouse, and display. A docking station does not increase the speed at which your mobile devices work. It may provide a wired Ethernet connection to the company's network, but your mobile device should come with its own Wi-Fi capability already built in. A docking station does not provide the additional software or hardware upgrades to allow your mobile device to become an audiovisual workstation. A UPS is a backup battery. In the event of a power outage, the UPS provides emergency power to the server so that the system may be safely shut down. A UPS is not designed to keep the system up and running for users for an indefinite period of time. It has a finite period of operation and is designed specifically so that the system may be safely shut down. RAID 1, or mirrored RAID, uses two hard drives to store identical information and to provide a real-time backup of the data. The benefit of mirroring is that if one drive fails, the other drive contains a complete copy of the data. The disadvantage is cost. You must buy two hard drives on which to store the same information that could have been stored on a single drive. RAID 0 uses two hard drives and stripes data across both drives. RAID 0 increases read speed, but there is no redundancy in case of disk failure. RAID 5 uses three or more hard drives and writes data to each hard drive alternately. In addition, RAID 5 incorporates a parity stripe. This means that if one drive fails, you may retrieve the missing data from the other drives. RAID 10 is a combination of RAID 0 and RAID 1. It requires four drives and provides faster speed as well as recoverability. Thunderbolt 1 and 2 accept the same connector as the mini DisplayPort. Thunderbolt 3 accepts the same connector as USB Type-C. The SODIMM (or small outline DIMM) was developed to provide memory in the smaller confines of a laptop computer. Routers connect LANs to each other to form a WAN. For example, if a company has an office in Atlanta and another office in San Francisco, a computer in the Atlanta office would have to access a router if it wanted to communicate with a computer in the San Francisco office. If a computer in the San Francisco office wanted to access the Internet, it would also have to go through a router. A switch speeds network communications by allowing multiple communication sessions to occur simultaneously and at full speed. Communications on a switch are directed to a specific computer using that computer's MAC address. There is a limit to how much distance a LAN can span. If your network needs more distance, you could create two LANs and use a bridge to connect the two LANs. A hub may be powered or unpowered. It broadcasts any message sent by any computer to all the other computers connected to it. It must split its available bandwidth among all of its computers, which slows its communication speed. 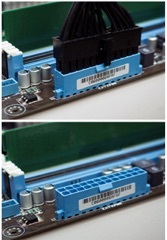 SLC and MLC are types of flash memory and are used in solid state devices, not in mechanical hard disk drives. The spin rate is how fast the disk turns, which determines how fast information can be read from it. Information stored in the hard drive cache can be read faster than the same information stored on the hard drive itself, so having a large cache can improve performance. Areal density refers to the amount of information that can be stored on a single platter. UDP is a connectionless protocol in which packets are not checked for accuracy of delivery. An example of UDP would be in streaming media. If a packet were dropped while listening to a music stream, there might be a blip in the sound, but your computer would not ask for the packet to be retransmitted because retransmission would take too long and the stream would become even more choppy. A layer of thermal paste is placed between the CPU and the heat sink to provide an insulating seal. When building a computer, the motherboard socket and the CPU must be compatible. The FM2 socket from AMD is compatible with the Trinity and Richland series CPUs. Port 53 is the port used for DNS. Port 25 is used for SMTP. Port 80 is used for HTTP. Port 110 is used for POP3. VGA describes an analog video interface that uses a 15-pin connector, commonly referred to as a DB-15.